How to Find a Topic for a website or blog? If you’ve decided to go ahead and set up a blog, then this is where the rubber will meet the road. In this case study, I’ll be setting up a blog designed to generate income with the Amazon Associates Programme, and also use the Google AdSense advertising programme. In the longer term, I’ll build a list with the aim of selling my own information products about coffee-related material, to add a valuable source of revenue. It’s best to focus on building the Amazon Associates website first, and the remainder of this case study will help you through that process. The website that I will be building is theperfectgrind.co.uk. When you build a website, you want it to make sales all year round. Some people build Christmas websites, Halloween websites, Valentine’s Day websites etc. However, they will only make sales at certain times during the year. – it’s better to have a website that’s not seasonal. Your website should be in a buyer’s market – an Amazon Associates website will only work if people are buying products related to the topic and the market. Whichever topic you decide on needs to have enough material to write about, in order to post regularly. If your topic choice is too narrow, there’s a risk of running out of subjects to write about. You’re looking for a buyer’s market and want to be able to recommend products and product choices to our visitors. You therefore need to be sure there are plenty of products that sell really well. Those products also need to have good ratings – they’ll help encourage visitors to make a purchase. A good website/blog is not just about recommending products. Your website should also help your visitors and provide them with useful, timely information. Visitors may even share this information with other people, who may also then find something they like and make a purchase. In essence, you’re writing unique and compelling content that helps answer customer searches and offers solutions to their problems. You also want a topic that can easily be developed. Build your website around a topic that allows you to add other related information. That way, your website has the capability of growth. It’s important to place your chosen topic into a market or a niche. A ‘market’ is a broad term for a topic of interest eg, golf, toys, cooking or cars. These are broad terms, which cover a very large area of interest. It would be unwise to try and rank your website by targetting broad terms like these, as these more general categories are dominated by bigger and more established corporate companies. It ’s better to find your own section of a market, which is referred to as a niche. In the table below, I have shown some markets, and then shown some specific niches within those markets. Now building a website around one of these smaller niches would give you a much better chance of ranking your website/blog. Sometimes though, you may even have to dig a little further down to come up with a sub-niche. I have shown some examples of these sub-niches in the table below. The best approach is to focus on a smaller sub-niche where your blog can become the go-to authority for the best information. 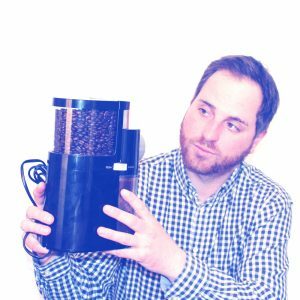 The blog I’ll be building uses this exact approach: the market is coffee, the niche element is coffee beans and the sub-niche is about roasting and grinding coffee beans to make a great cup of tasty coffee. 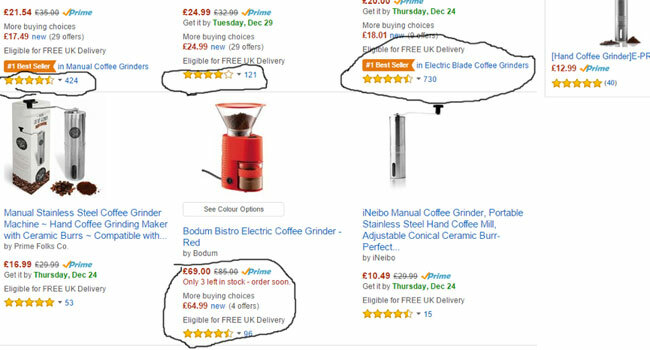 Specialising like this makes my website primarily about helping people to make very good coffee, with the main product on Amazon being coffee grinders. I’ll then work to make my site the best website to find out that type of information. What Topic Should You Blog About? The most important consideration should always be if you have a genuine interest in the topic. A topic, in most cases, should be a sub-niche, as I have explained above. The niche or sub-niche should, however, be broad enough to make sure you have plenty to write about. Avoid making your niche too small and too narrow. For example, left-handed golf clubs would be a great sub-niche, whereas left-handed golf drivers would be much too small. If you picked left-handed golf drivers, there’d only be a limited number of products available and you could only write so much. With clubs, there are a lot more available, and there’s more to write about. As you’re also building a blog to sell products on Amazon, you need to be certain there are enough products to promote. At the end of the day, there’s no point building an Amazon Associates blog if Amazon doesn’t stock a number of well-rated products. I then started to place these into sub-niche markets and checked to see what products, if any, were available on Amazon. By brainstorming like this, you can come up with a range of potential opportunities. The next stage is to find the niches which have a good range of highly rated products at Amazon. That will ensure that you have high-quality products that are selling really well. Amazon pays a percentage commission on a sale, so higher-value products will earn you more. I’ll explain later in the case study why £20 is the minimum value. For now, though, when deciding on your topic, I would advise sticking to the above guidelines. The remainder of the topics all look good in terms of having enough products. So at this stage, it’s time to make a final decision. My main interest is coffee and that’s why I decided on it. 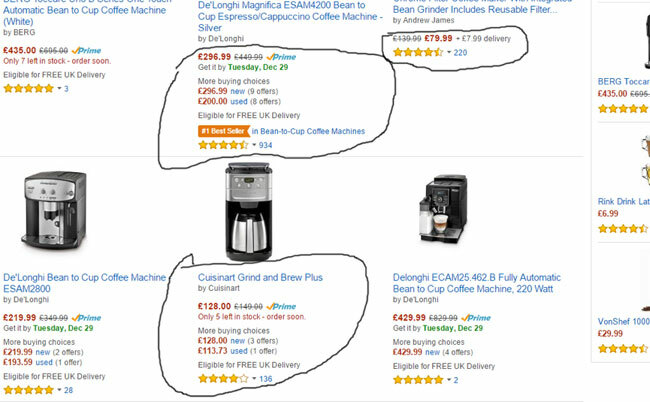 There are over 200 coffee grinders at Amazon of various types at good prices and selling regularly, as you can see from the screenshot below. I’ve circled some of the products I’d be keen to promote. Overall, they have a good value, a good rating and over 100 buyer reviews. I could also promote coffee beans, and some coffee machines that have a built-in grinder known as bean-to-cup machines. It’s also good that these are higher- priced items. Growth potential – it’d be easy to include other coffee-related information to the site, such as coffee pots, stove-top makers, other types of coffee machines, explanations of the many coffee drinks, etc. Plus, I cold create a very good eBook on coffee, should I want to build a list and have that as an item to buy. So when you have your own list of topics that you have an interest in, go through them as I have done and remove any which do not meet the above criteria. That will help narrow down the list and leave you with a few choices. Then you need to pick one. If you discover that there are no topics on your list that meet the criteria then go back to the start and repeat the process. You want to get to a position where you have a few topics on your list as we also need to do further testing, to make sure that your website has a strong chance of success. When you’ve created your list of potential topics, check them against the key criteria and make sure that they pass those tests. If none of your topics pass the test, go back and come up with some more ideas for a topic. Try to come up with two or three topics, which we can then test out in the next part of the tutorial, in terms of market research, keyword research, competition analysis and to see if they meet your financial goals. At the end of this exercise, you want to have at least two or three general topics you’d consider building a website around.